Click here to see my Just Us Girls post. 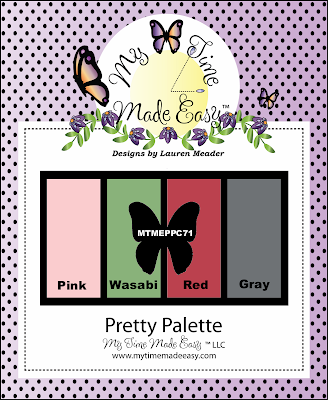 I'm so excited about this month's release over at My Time Made Easy! 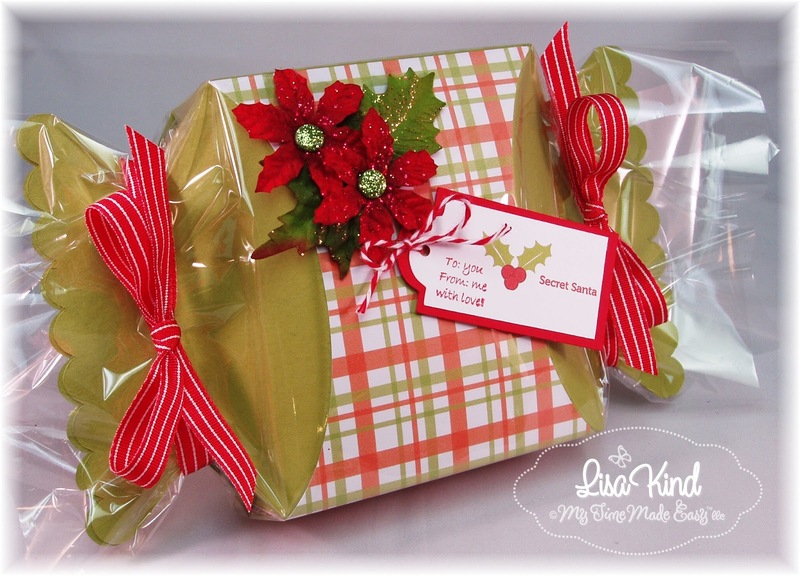 We have some fabulous new holiday templates, images, and paper being added to the store that I'm sure you are going to love! Today, I'm previewing this new template called Candy Wrapper. 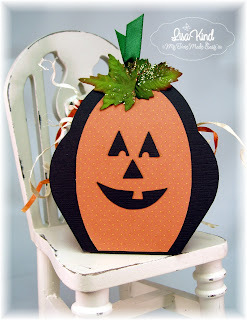 It's such a cute and easy template to put together! It went together in minutes...literally! I started by cutting the template out from Lucky Limeade cardstock and added this new plaid paper from the Homemade Holidays digital paper pack to the center. Then I wanted it to look like a real piece of candy in a wrapper, so I wrapped it in celephane and tied it with some ribbon. 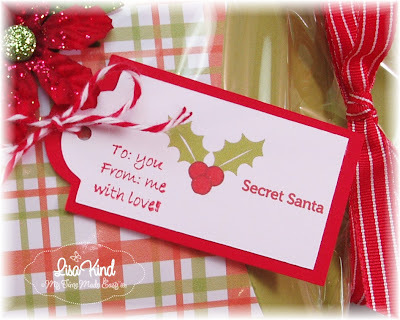 I added some Prima poinsettia flowers and leaves and made a cute tag from some new and old products. The MTME design team has more previews for you. Check out these blogs for more. The new products will be available on Monday, October 1! Thanks for stopping by! Hi friends! This week over at Just Us Girls is the Wild Card Challenge where we get to pick whatever type of challenge we want. 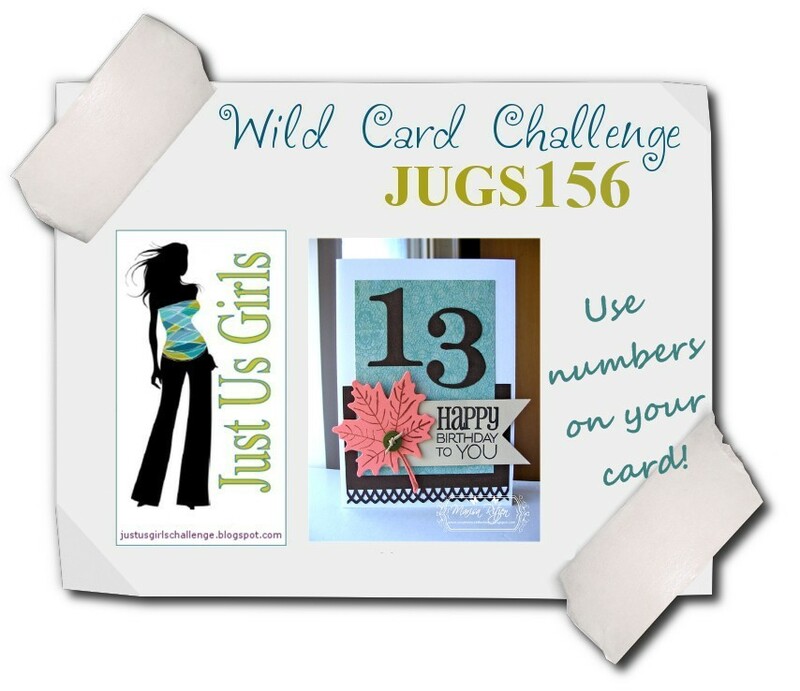 I'm hostess this week and I chose to use numbers on your card/creation. I decided just to go literal and use the number dies. 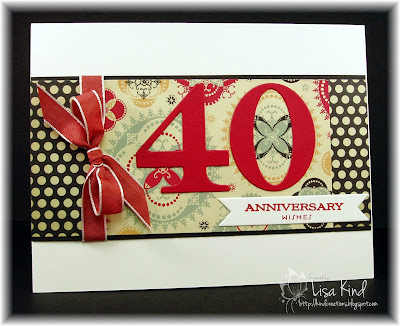 I needed a 40th wedding anniversary card for friends of ours, so this was the perfect challenge for me! I started with red in mind because red is the color for a 40th anniversary. I chose this paper by Cosmo Cricket called Circa 1934. I like the red with the black. 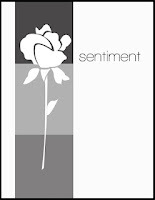 The sentiment is from a free set from PTI called Everyday Classics. 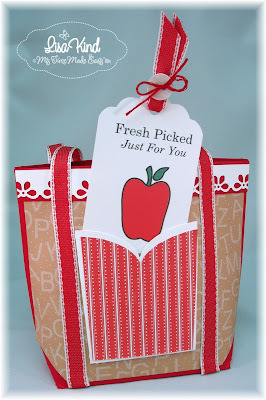 I stamped it in Riding Hood Red ink and die cut it with a flag die. The ribbon is SU's Riding Hood Red taffeta ribbon. The entire card is mounted on vintage ivory cardstock. 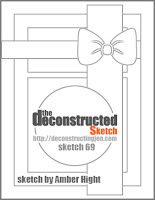 I used this sketch from Clean and Simple Sketches. 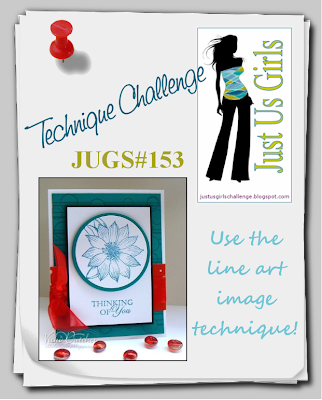 You can ﻿see some great inspiration from the JUGs design team. See for yourself by visiting these blogs. Hi JUGs fans! 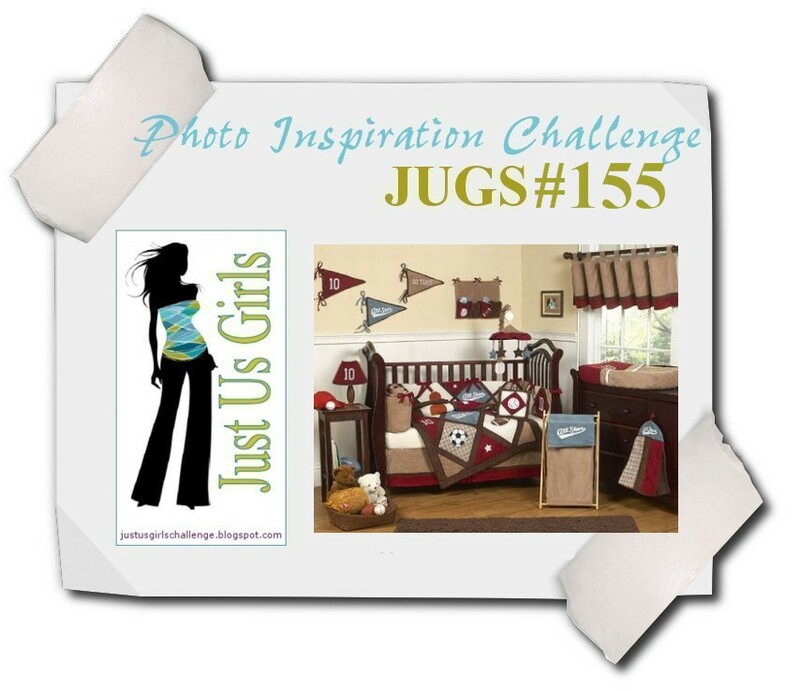 We have a fabulous inspiration photo brought to us by Marisa! Isn't this a great photo? I just LOVE the colors! Here's a bigger picture of the inspiration photo so you can see it better. The JUGs design team has some other great inspiration for you as well. Check out these blogs. I hope you can play along with us! Thanks for stopping by and enjoy your weekend! Hello there! Take a look at this week's colors at the Pretty Palette challenge. For some reason, I thought Christmas...must have been the green and red! So this is what I created with these colors. 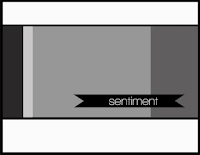 I stamped the present, from Dashing Throu﻿gh the Snow, in red and the sentiment, from Secret Santa, in basic gray. It's mounted on a scalloped wasabi green circle. 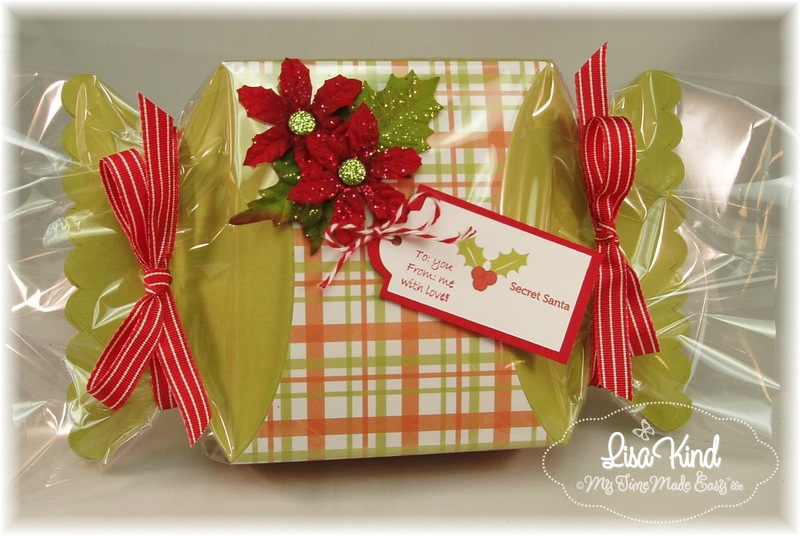 The pattern paper is from Mrs. Candy Claus digital paper. 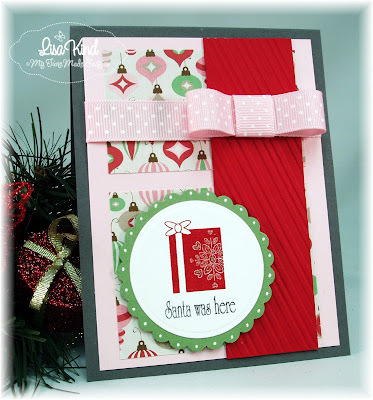 I ran the red panel through a candy cane stripe embossing folder to keep with the holiday theme. 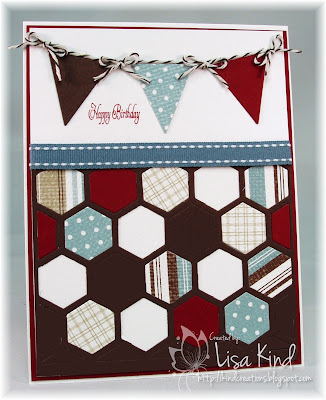 I added the pretty ribbon and bow and mounted all of that on a gray card base. I also added some white dots around the scalloped circle and used a glitter pen on the snowflake on the present. One Christmas card down and many to go! Hi everyone! 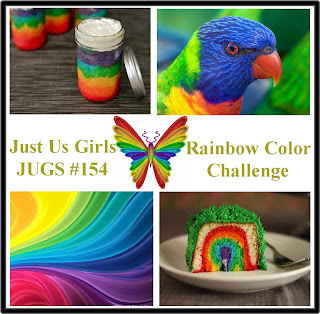 We have a great color challenge over at Just Us Girls brought to us by lovely Lynn! She chose a rainbow color palette. We hope you can get some inspiration from this graphic and our wonderful design team! 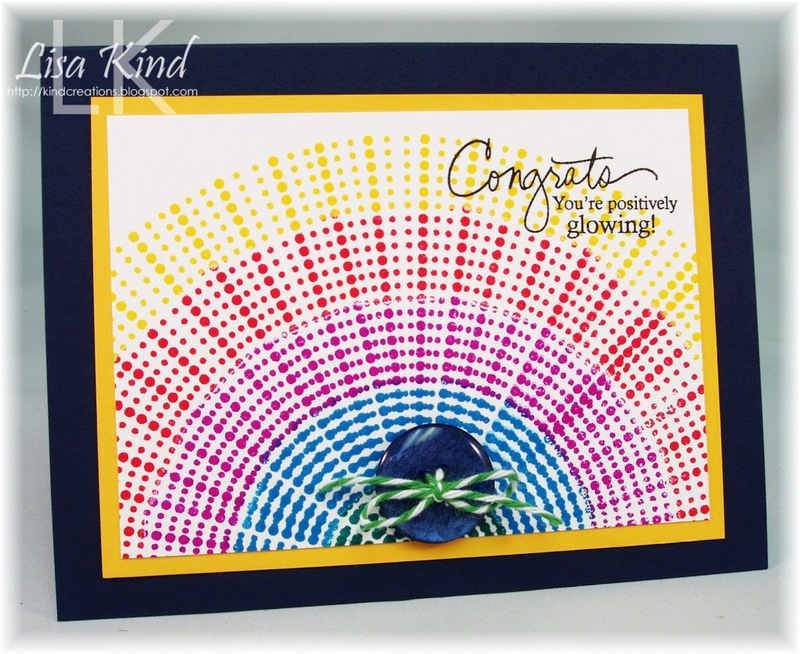 Check out what the design team did with this fabulous color challenge. Today is a day of remembrance, and a time to thank all of those who have served our country. Past and present, and future, the word thank you doesn't seem to be enough. 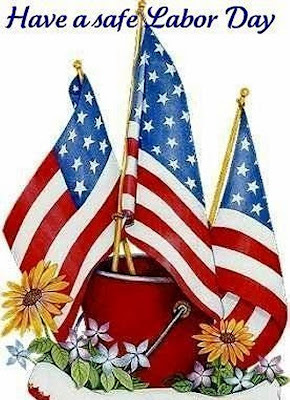 Many people have given so much of themselves, to work tirelessly to preserve our freedom and protect our country. Saying thank you doesn't seem to be enough. Today on 9/11 we take a moment to remember those at the World Trade Center NY in 2001, who lost their lives that day, and the families they left behind. We take another moment to honor all of the individuals who helped that day and who are, or who have, served our country. Today we remember. · Lisa Kind <--- you are here! This was designed at the request of, and in the honor of, Lauren's brother Craig, who served many years in the U.S. Army! He wanted a realistic version of the "real deal" to honor his time spent serving our country! Of course she was up for the challenge, as it is an excellent way to honor our troops. So here is what the tank looks like according to me! 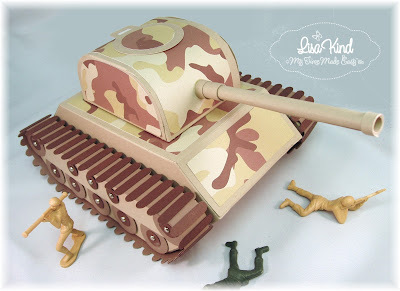 I looked up army tanks online and saw newer ones that are not green, but rather tan. 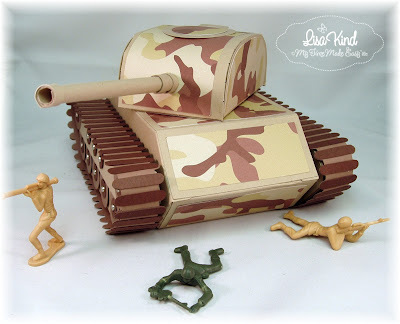 So I used SU's Crumb Cake paper for the base of the tank. 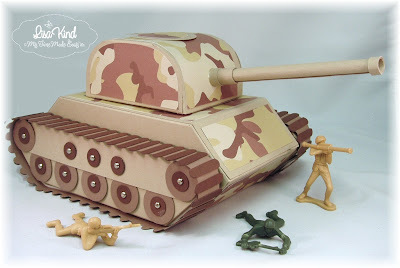 The camoflauge paper was recolored in GIMP to be more of the browns and beige colors our troops are currenlty wearing. Isn't this just so cool? This takes a wee bit of time to put together, but the end result is so gratifying because of all the amazing details! We are also hopping with the Paper Sweeties design team. Here is some information about their products. *NEW* at Paper Sweeties in September and available for a ‘special pre-release’ on 9/11 is an adorable boy doll stamp named ‘Jake’! Jake measures approximately 3 ½” tall and is the perfect companion for the Sweeties girl stamps – Abigail, Emma and Sophie! Jake has several outfits available this month – one of which is the cutest soldier ‘dress’ uniform complete with a medal of honor, hat and six heartfelt sentiments! 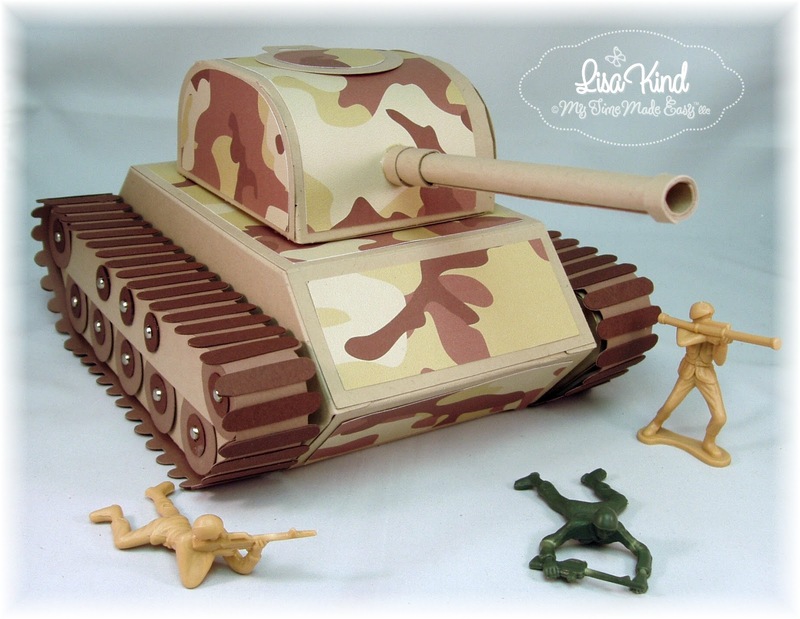 Jake was designed at the request of a good friend who is very involved with the Operation Write Home organization because she has a brother serving overseas in the armed forces! 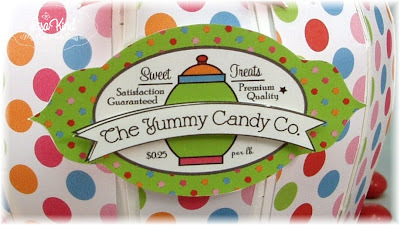 Each Sweeties stamp set retails for $10. So there you have it folks! Lots of information, but so much fun! Thanks for stopping by and God Bless America, our troops, and all those who serve us and our country! You can see more at these blogs and thanks for stopping by! Back to School! Tomorrow my kiddos are back in my classroom! And what does every teacher need? A tote bag to tote all those papers that need correcting. So that's what I made today for my Year in Review project from My Time Made Easy. I must say that I took this idea from my friend Cheryl. She made one (and gave it to me!) and I thought it was such a great idea. The template I used is called Tote-All Package. I just left off the flap closure to create an open top. I used several MTME products on this. First, I used the Alphabet Soup Collection 1 digital paper to decorate the bag. The apple was created using the An Apple a Day Slice cut file. The decorative paper is Coffee Beans digital paper. 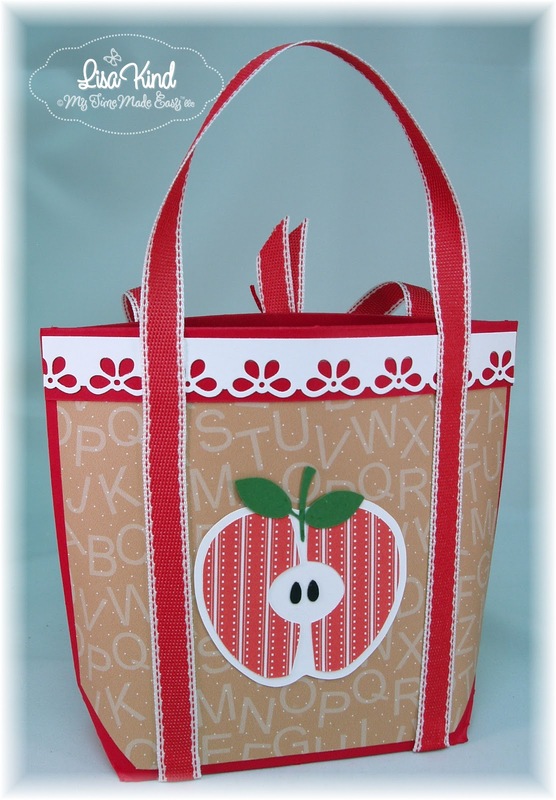 The top flap is decorated with a decorative punch and the ribbon for the handle is from SU. The entire team is posting projects today. Stop by these blogs to see what they created. Don't forget that you can see all the new products that were released this month in the MTME store. 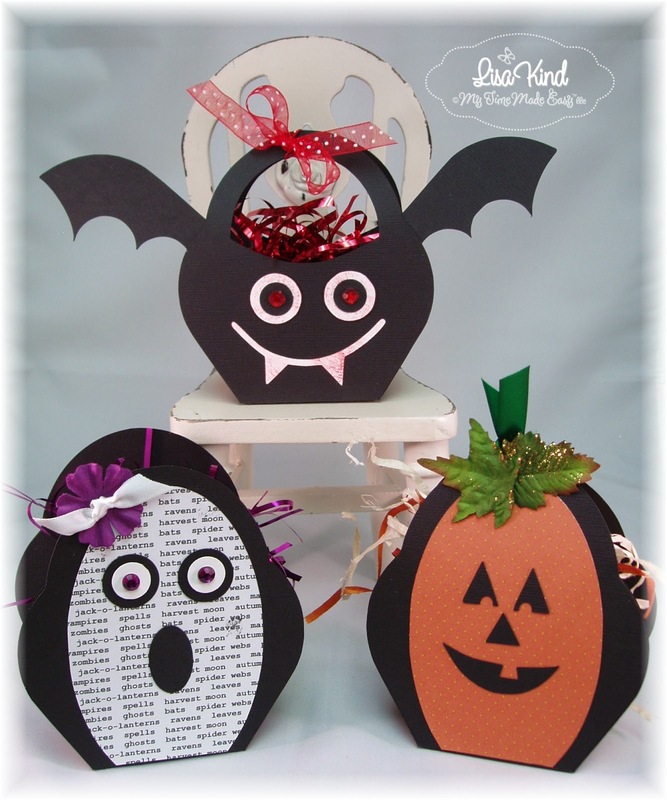 There are some really fabulous Halloween products as well as others you will love! My Time Made Easy Post Release - Boo Bag! Happy Labor Day everyone! I hope you are enjoying your day with family and friends! We were at our cabin yesterday for a big party! I'm tired toay, and it's back to work tomorrow after a nice, long summer vacation. 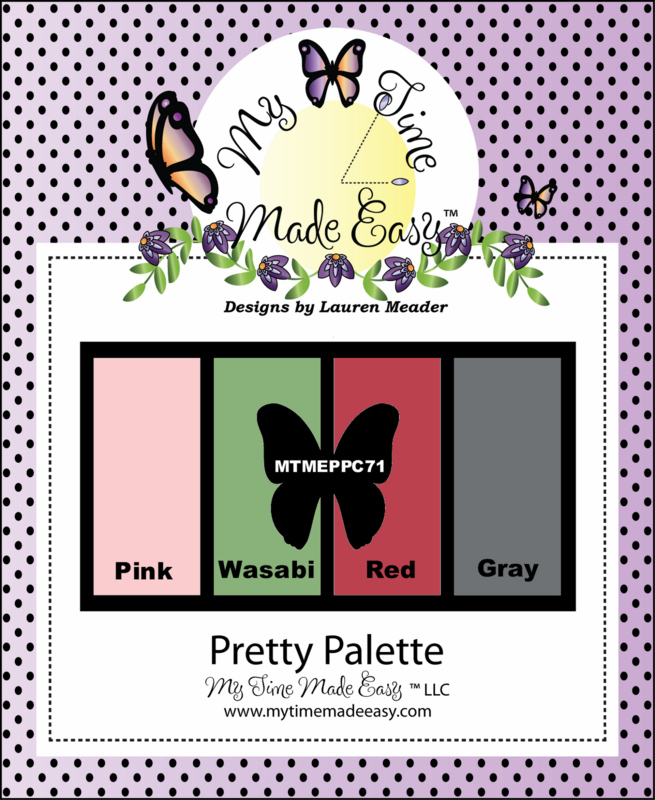 So did you see the new release from My Time Made Easy yet? Stop by the store and take a look at all the new products there! 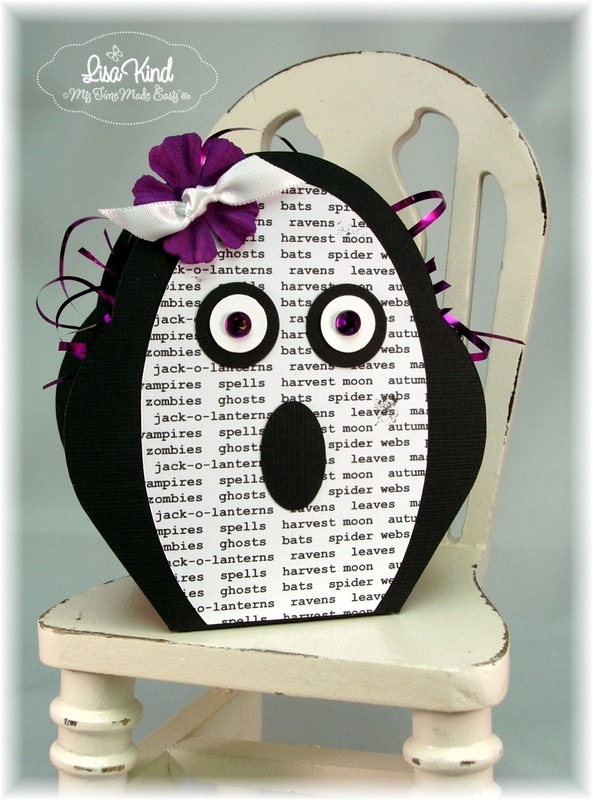 Today I'm using the new cut file called Boo Bag. This is the cutest little bag! All you need is one 12x12 sheet of cardstock to create it! 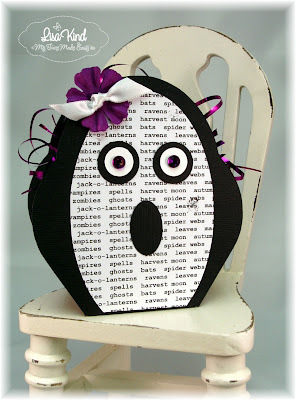 Look at the three different bags I created with this one template! First up is the bat. Is this not stinkin' cute? Love it! I created his face with parts that come with the template. I stippled some red ink on the whites of his eyes to make it look bloodshot and some red on his fangs too because, well he's a bat! (Reminded me of a vampire and Edward...yuck!) I added red crystals for his eyes. 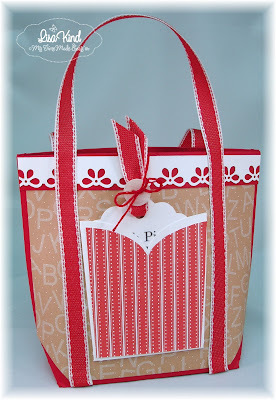 It's filled with some red filler and a red sheer polka dotted ribbon closes it up. 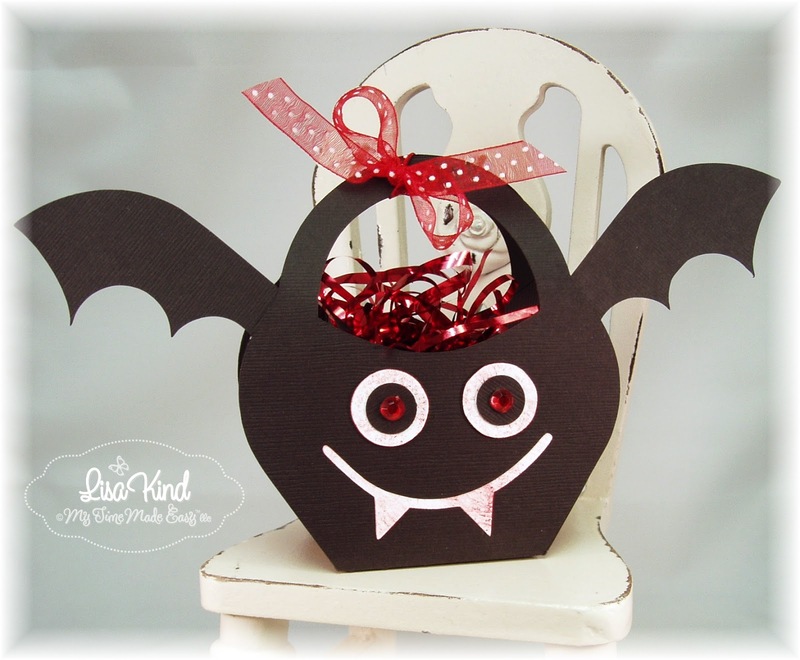 These are all waiting to be filled with some candy for Halloween! All three bags took about 30 minutes to create! These would be great for favors for a Halloween party. They could also be made for Easter. That middle piece could easily be made into an Easter egg! Oh the possibilities! Want to see more inspiration from the team? Here's who's posting today. Stop by and take a peek. Have a safe and fun day! Thanks for stopping by! It's Release Day at My Time Made Easy! You can find all new products here that you can purchase and use right now! No waiting because it's all digital! Today I have the new Apothecary Jar to show you. 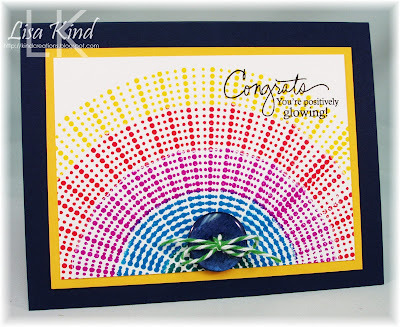 Love how bright and cheery this came out! My inspiration came from these fun-colored Skittles (they are so yummy too!). 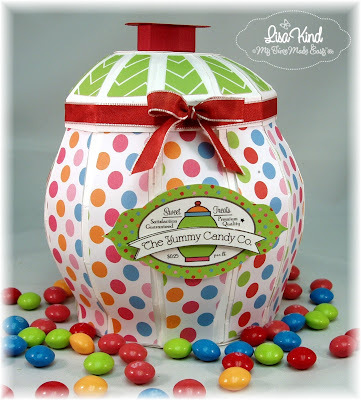 I wanted a polka dotted paper to decorate my jar, so I chose this one from the Spreading Spring Cheer digital paper pack and just recolored it to add the red and green dots. I did this in GIMP. (This is a free editing software similar to Photoshop. Great for this type of editing!) 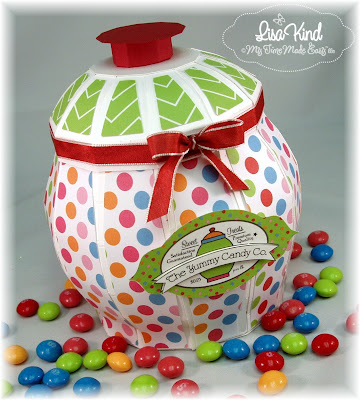 The paper on the top of the jar is from the same pack and it was also recolored in GIMP in the green. Here's a top down view so you can see it even has a handle cut from Riding Hood Red cardstock. I added the taffeta ribbon in the same color. This jar is very roomy! ﻿I love its size! There's more inspiration for you from the entire team today. Please visit these blogs to see for yourself. Our Gallery has tons of inspiration for you not only for the new release, but for all the MTME products too!